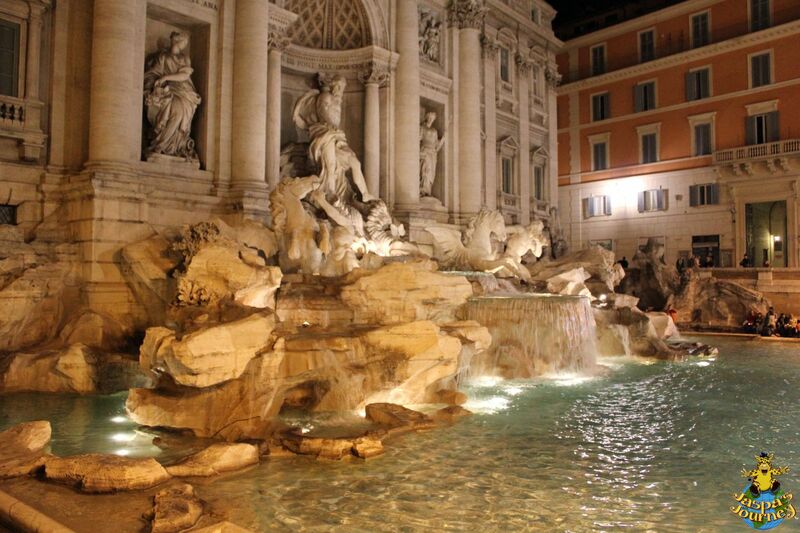 Rome’s extravagant Trevi Fountain is high on the ‘must see’ list of most visitors to the Italian capital. 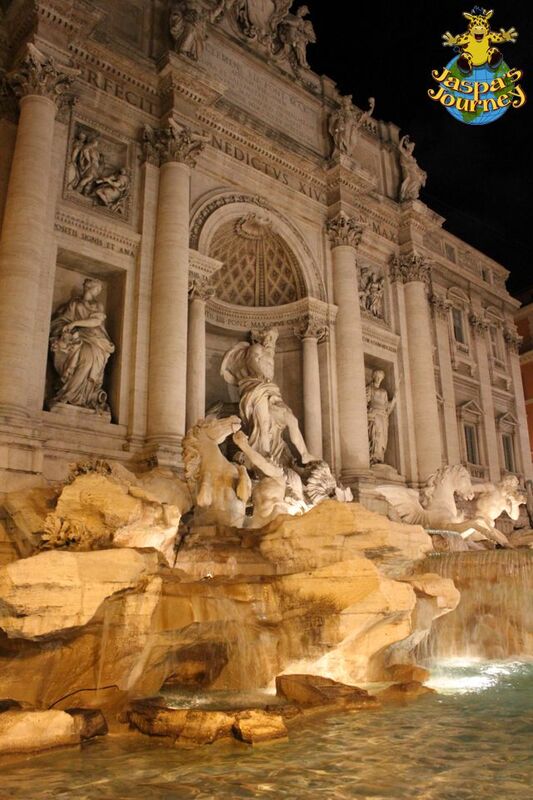 The Trevi Fountain marks the end of a Roman aqueduct that has been carrying clean water into the city since 19 BC. The current fountain was commissioned in 1730 by Pope Clement XII and designed by architect Nicolo Salvi in the Baroque style. It is constructed from a type of freshwater limestone called travertine (which, incidentally, was central to Rich’s PhD). 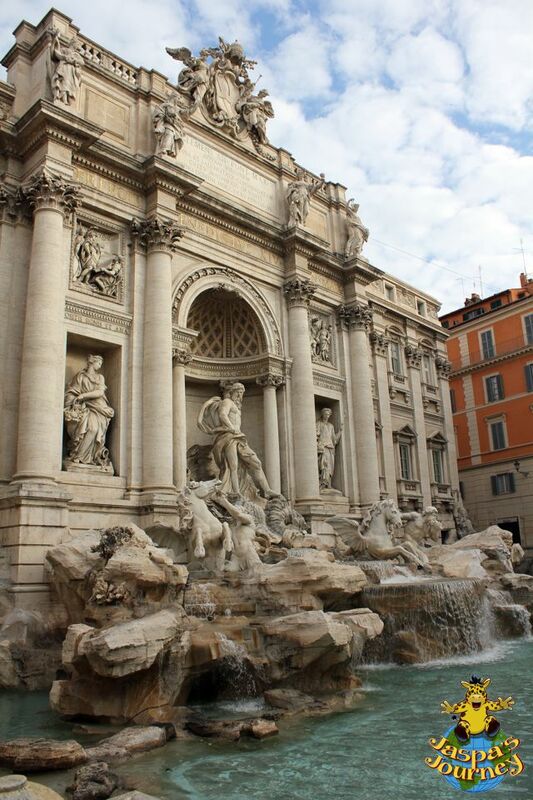 At 86 feet high and over 161 feet wide, the Trevi Fountain is built right into the façade of the Palazzo Poli. The centrepiece features a massive statute of Oceanus on a sea-chariot drawn by two hippocamps, each accompanied by Triton (a Greek sea god). The basin in front of the fountain is meant to represent the sea. Today it is famous as a wishing well, since throwing a coin into the fountain is said to ensure you’ll one day return to the Eternal City. 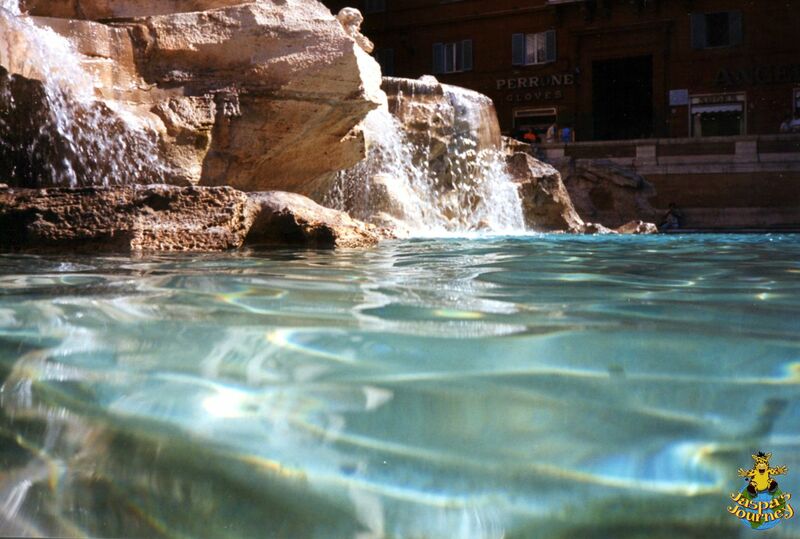 There’s no doubt the Trevi Fountain is spectacular during the day. But for me, its full impact comes after dark. This post was inspired by the photo theme of Fountains from Cee’s Fun Foto Challenge. If you’re the sort of person that loves delving into history and culture on your travels, why not sign up and follow my continuing Journeys here at Jaspa’s Journal (on WordPress or Bloglovin’), or through my website, Facebook, Twitter, Instagram and Tumblr? This entry was posted in Europe, History, Jaspa's Journey, Photography, Travel, UNESCO World Heritage Site and tagged Cee's Fun Foto Challenge: Fountains, fountain, Italy, Rome, Trevi Fountain. Bookmark the permalink. 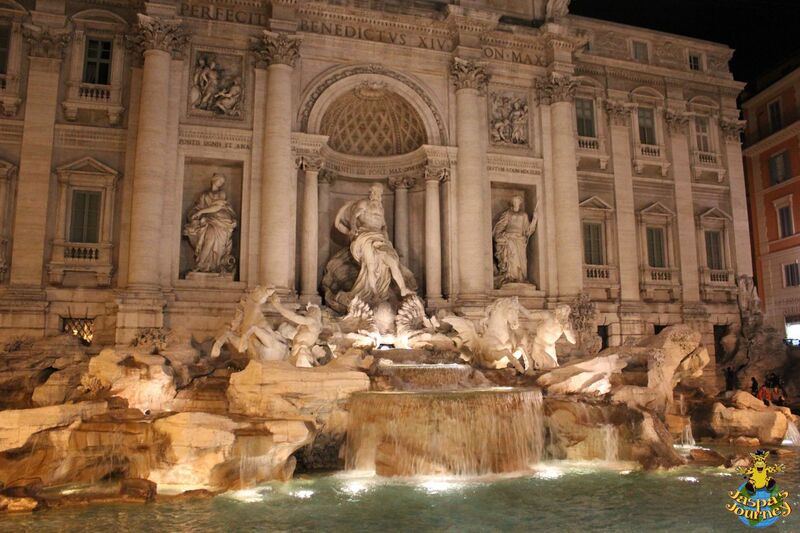 I cant believe i havnt been to Rome yet.Cant wait to go and see all those beautiful places ! excelent photos ! Thank you, M! Rome is one of my favourite cites, right after Venice! Lovely photos — both times I have visited Rome in the past few years the fountain was turned off and under construction. Hopefully I will get to see it running some day! I read about the renovations to the fountain, Katherine. Thankfully, I visited before the last set began (it was the Pantheon behind scaffolding for us!). Better luck next time! I saw an interesting article on Smithsonian about this and other fountains, examining what happens to all the money people throw into them. It turns out, different places deal with all that money differently! I read that the money from the Trevi Fountain goes to a local subsidised supermarket for poor people. What a great article, Sarah. Thanks for sharing! Closed last time we visited – last year I think. It is really a beauty, but I have only seen it running once. Now Anita Ekberg has passed away, the Swedish beauty who bathed in it in “La Dolce Vita”. Several people I know missed out on seeing it running in the last couple of years. Guess I was lucky to visit Rome at the right time to catch it in its full glory. Rome and Italy are one of the best site all over the world!! I did! So, I’m just waiting for my return visit! I sure you will have a fabulous week. That’s very cool, Cee. Thank you. I’m going to follow your advice and have a fabulous week, beginning with a flight to the UK this evening! 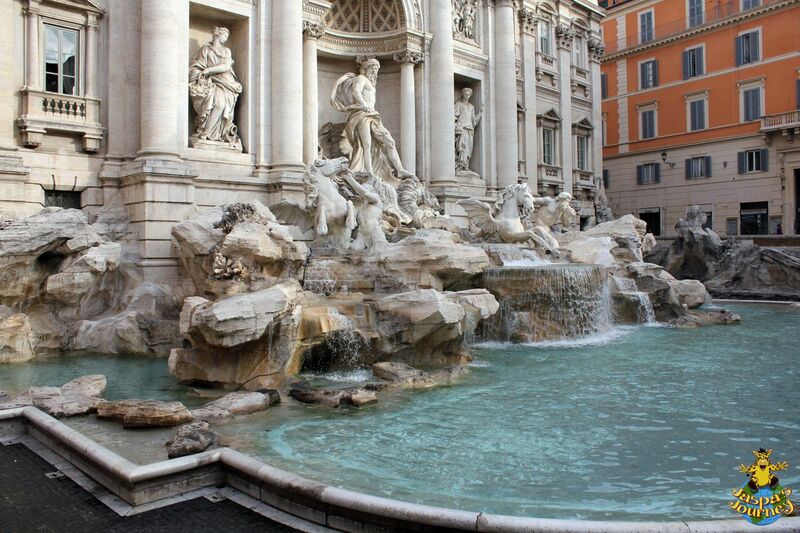 I am so disappointed that I was in Rome few weeks ago and I never visited Trevi Fountain – it looks magnificent. It seems I was very unlucky since I was walking around its location. To bad, at least I have a reason to come back next year. Thank you for this great post and amazing pictures! Hope you really do get back there next year, Cecilia! Thanks very much, Francis and Anna!